And I can’t believe I almost forgot this! If you like Kris’s yarnography… how about owning it on a mousepad, or a mug? He opened a CafePress store: The Digital Arcana Shop. More stuff will be going up all the time, and if anyone has ideas or suggestions or requests, let us know! 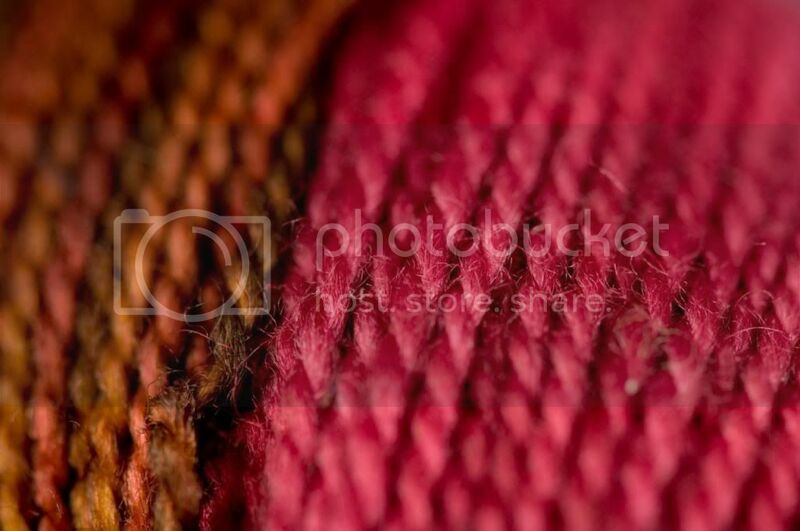 January 26th, 2007 | Tags: Knitting, RAKs and SP Stuff, WIPs, Yarn Pr0n | Category: Misc. 18 comments to Fleece Artist Pr0n! Ah, I’ve been wanting a skein of that! I may just have to order some now. 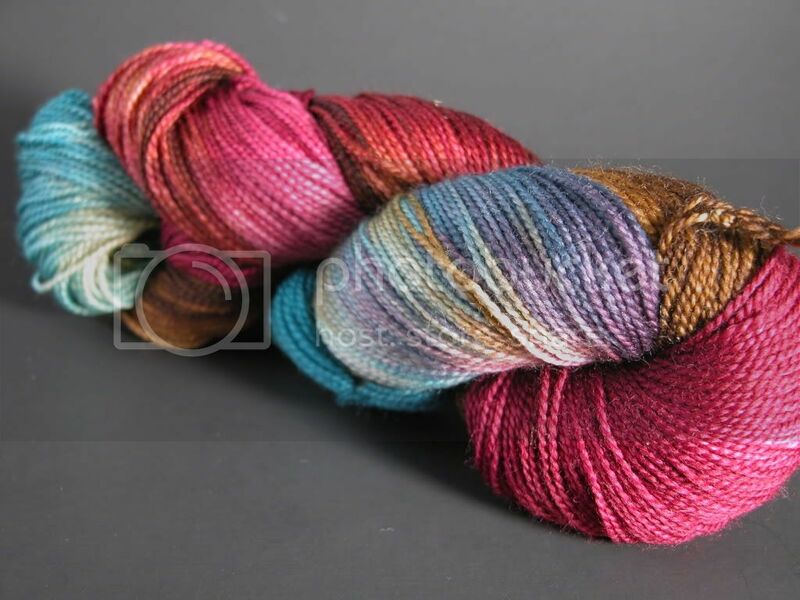 I got some Lady Godiva in that color for a clapotis! what yarn are you using for those socks? Yarn pr0n mugs! Are you trying to bankrupt me??? 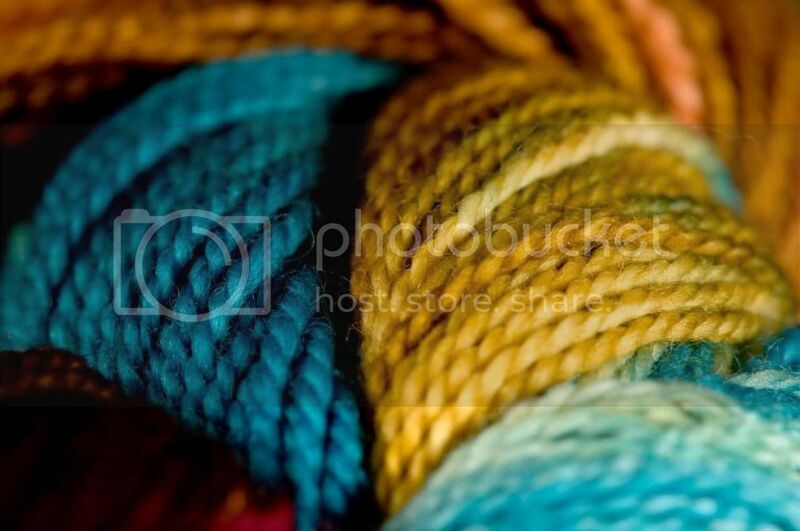 Gorgeous yarn. And the socks are coming along splendidly. Beautiful yarn and the socks are gorgeous. That third picture in today’s yarn pron would make a good one for the Cafe Press shop too. The pictures are spectacular and those green socks are so beautiful I could just cry…. ….or maybe I’ll just copy you and make some myself! that yarn is gorgeous!! I love the colors. Very Paris. 😉 The shots are great as always. Love the Fleece Artist! Must make note of the colorway. 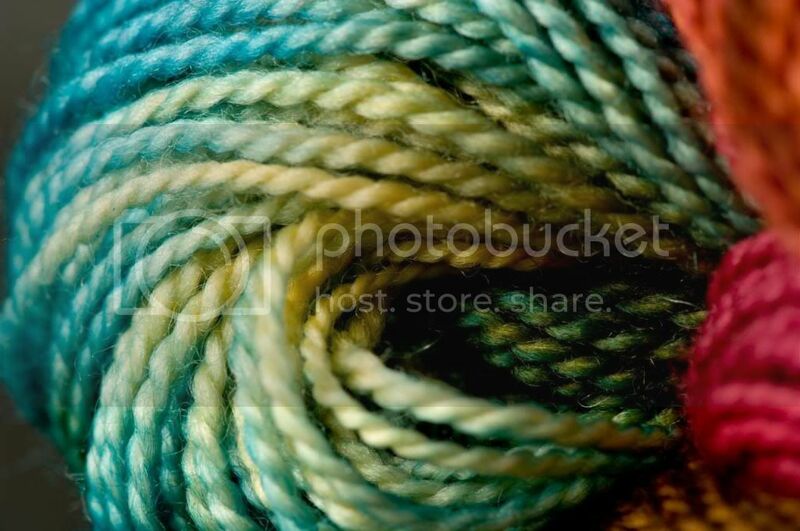 This reminds me– any suggestions of beautiful non-sock things to make with one skein of Fleece Artist merino sock yarn? I bought a gorgeous one up in Nova Scotia but (like an idiot) went all cheapskate and didn’t buy a second. Despite the fact that I knew I didn’t want to hide such beautiful yarn on my feet. Fuh. So what now? Fleece Artist sock is delicious, isn’t it? That Paris colorway is gorgeous. The socks look beautiful so far. Wow, are you knitting at warp speed? The colorway is amazing – why is this stuff not being sold in Holland? 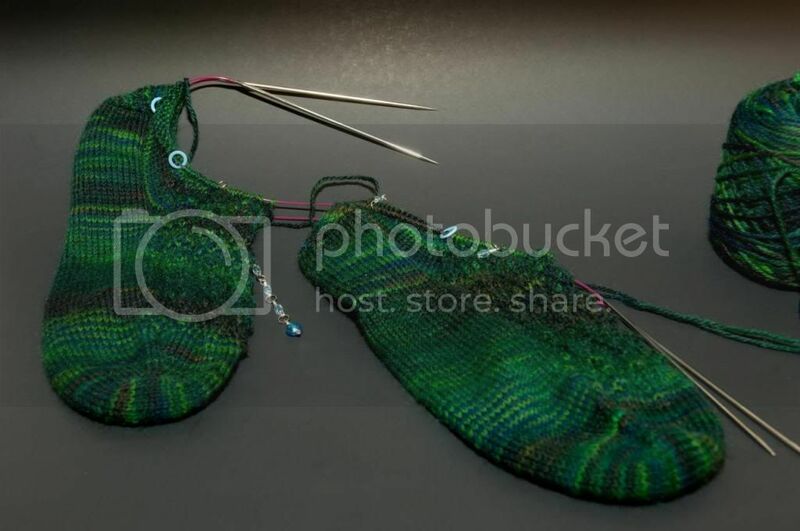 I’m going to finish sock 1 tonight, so I’ll have a new picture up tomorrow. The other yarny goodness is awsome as well. Great pictures. LOVE the pr0n, totally coveting the Bodice, nodding and smiling at the Sensational Knitted Socks reference. Could you live without it? Not me. Thanks for the inspiration – I’ve been putting off the Bodice, and I think it might be time now! I LOVE fleece artist. They have the most amazing colours. I just finished knitting socks with their “cosmic dawn” colourway and I was totally smitten. 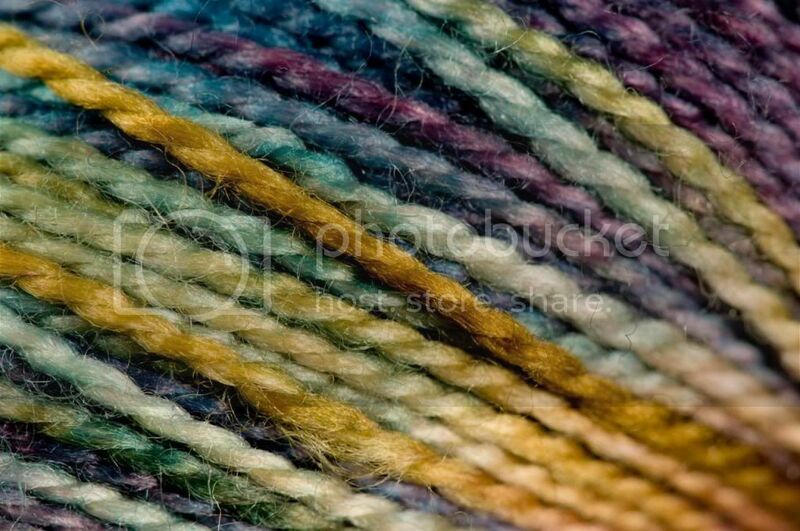 I’m lucky that I have two LYS in the area that carry the crack, I mean yarn. Sner – if you like the Cosmic Dawn… just wait for this week’s YPF post!